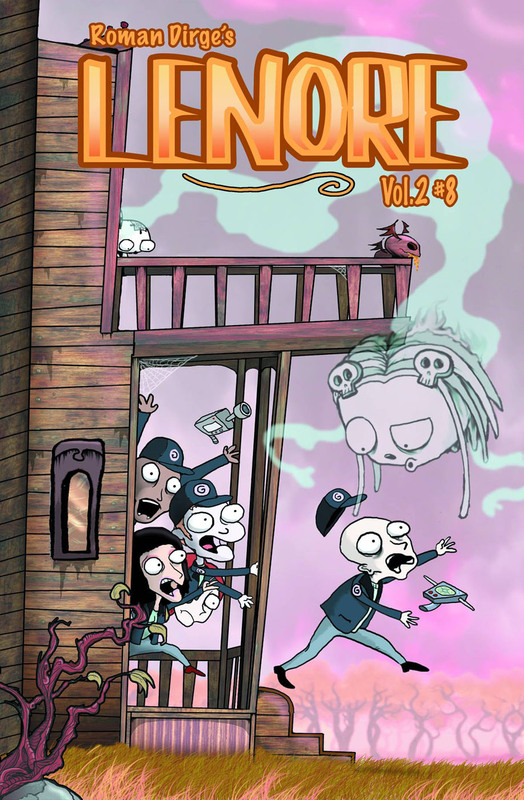 Lenore The Cute Little Dead Girl is back with her misadventures and this issue promises the beginning of an epic story. Does this issue live up to the promise? 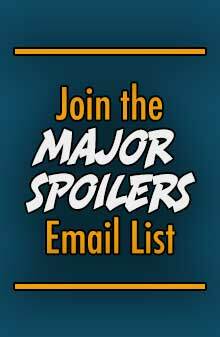 Major Spoilers has your review! Previously in Lenore: Lenore is a little dead girl living in the land of Nevermore with her friends Ragamuffin, Pooty and Taxidermy. She innocently gets into trouble, often resulting in the death or destruction of someone/something. Lenore has always been a comic made for those with a twisted sense of humor. Much of it dark and black but extremely hilarious. Many of the characters have dark pasts but their personalities are lovable and (for the most part) innocent. The exception has always been Taxidermy, a silent, horned amalgam of deer and bird and other unidentifiable animals. His silence is creepy, but he is friendly towards Lenore and the others. Taxidermy’s past has been a mystery until now, and it has made him much more terrifying. We learn he lived in ancient Egypt, sent to protect the children. Any harm brought to a child was brought back on the adult, starting small with a smack but as the adults became amused with his antics, he became more powerful. Because of his violence, the children became scared, leaving him alone to vanish. After a plague decimates the land, Taxidermy returns more angry and powerful, battling the gods for days resulting in his entombment. Of course, some stupid archeologist opens his tomb in 1880 releasing him. He became known as the killer “The Orphanage” by murdering any adult abusive to their child. This story is told to the reader by the host of Ghosty Toasty, a ghost hunter show ready to investigate Lenore’s house in hopes of finding Taxidermy. Unfortunately, they have no idea what they are getting into. I always enjoyed Taxidermy but found him somewhat unsettling. This issue made him completely horrifying. I liked that he avenged children but his change into such a violent creature is disturbing. He gradually dispatches of the show’s team in such sadistic ways (skinning, making a meal of brains, creating human dolls) that it shocked me somewhat. Lenore has always been a dark book but never this violent. It’s all presented with Dirge’s twisted, irreverent sense of humor, but can definitely be a turn off for some. The rest of the issue brings the trademark silliness as Lenore and her friends meet an alternate dimension versions of themselves while the ghost hunters witness their antics. This is where the book really shines as Lenore’s hijinks are always fun and cute and the fact that the show’s host can’t believe people “buy this crap” had me chuckling. The story, like most issues, is self-contained and can be enjoyed alone though I don’t know how this can be part one of four. Regardless, despite the violence I had fun and enjoyed every page. Roman Dirge’s art is deceiving in its simplistic style. Characters are drawn in a way that resembles a child’s. Not only is this fitting, it’s also much more. Dirge handles everything in the book: writing, drawing, coloring and lettering. That’s tons of work and upon close examination, the details are astounding. From the mounted animal heads on the walls to portraits and cracks, everything is there albeit subtle. The coloring alone is fantastic, utilizing classic techniques with computer. His style matches his content wonderfully and brings the world of Nevermore to life. I’ve always loved his style and lately he’s been on top of his game, showing strong evolution from his early black and white days. I’ve never seen a style like this before. Completely original and darkly beautiful. I cherish Lenore so much I’ve gone so far as to get tattoos of characters. This issue of Lenore continues the quality Roman Dirge has brought for years. The extreme violence is shocking but chances are if you’re a regular reader you’ll be prepared and laugh along. Taxidermy is fleshed out and his origin is disturbing, especially the enjoyment the adults get out of abusing the children to see his “cute” smacks at parties. 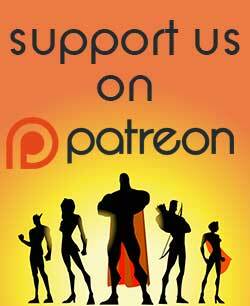 Dirge’s art continues to grow and shine displaying all the work and love. 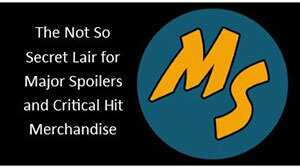 This isn’t an issue for everyone, but that’s been the case with Lenore since the beginning. Lenore #8 earns 4 out of 5 stars.